On Monday the 21st we had leaders from top brand & design agencies discuss the findings of our study into Brand Killers – young brands captained by shrewd entrepreneurs that ‘come out of nowhere’ to eat the big kid’s lunch. This article captures some of key takeouts from the session regarding what this new breed of brand means for agencies. There’s a wave of extremely ambitious, brand savvy entrepreneurs who’re setting out to disrupt ‘staid’ categories. They are intentionally targeting categories populated by big incumbents who have become complacent and who haven’t meaningfully innovated or adapted to the times. These entrepreneurs are launching innovative (often superior) products that aim to improve consumer experience in these categories whilst also – and perhaps most importantly – creating disruptive brands that challenge category conventions. It is the combination of an innovative product and a disruptive brand that creates a serious Brand Killer. Everyone in agency land knows that working with a start-up can be a risk – they can be an enormous drain on resource and there’s no guarantee of the return you’re looking for. BUT sometimes there’s a bigger risk. This is because the mentality of these Brand Killers is often not to be another ‘craft’ player. Their ambition is often to eat into market share of established players and go for a big audience. Halo Top Creamery – Low calorie ice cream Halo Top sales grew 2,500% year-on-year in 2016. It took 5% of the US ice-cream market within two years. Fever Tree – In 2017 (just over 10 years since its launch), Fever Tree has overtaken Schweppes (+200yr established brand) as Britain’s biggest selling mixer brand. 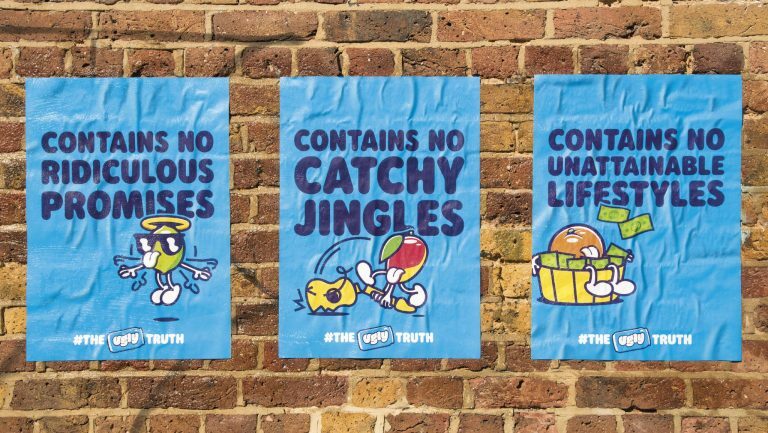 Pip & Nut – In 2016 (its first full year of trading) the brand was projected to hit sales in excess of £3m and turn a profit. Today it’s in +3000 stores. Some agency leaders also indicated that having start-up brands on the books (who are typically more open to highly distinctive brand and pack design) did positive things for the agency’s image and portfolio – which ‘pack tweaks’ for big brands don’t provide. 3. There are four basic strategies some big players are employing to stem the tide, or ride the wave. B. The level of competition smaller players are providing (with innovative products backed by brands that have been created with disruption in mind). But there are four basic strategies the big players are employing to try and either safeguard themselves against further £ disruption, or take advantage of consumer appetites for new, different (often premium) products. Create: Some companies have tried to create new products/brands to take advantage of this shift e.g. Nestle’s recent launch of L’Atelier into the premium chocolate space with a proposition that “every square of the chocolate is completely unique”. Incubate: Companies like General Mills have realised that it makes sense to set up their own incubation departments (301 Inc) to grow promising start ups such as Beyond Meat in return for equity (rather than buying the brands outright). This is also the route some savvy brand consultancies are taking. And it’s working out well for them.